Do you really know your flounder, or is it just a fluke? Flukes and flounders are two different bottom-dwelling flatfish that inhabit the North Atlantic Ocean . Although they look similar at first glance, you can distinguish between the two by noting which side of their body bears the eyes. Flukes have eyes on the left side of their bodies, while flounders have eyes on the right side of their bodies. The fluke has a larger mouth than the flounder. Since the mouth of a flounder extends to barely one inch, the teeth of a flounder are hard to see. The teeth of a fluke are easily visible. So which does Texas have more of? 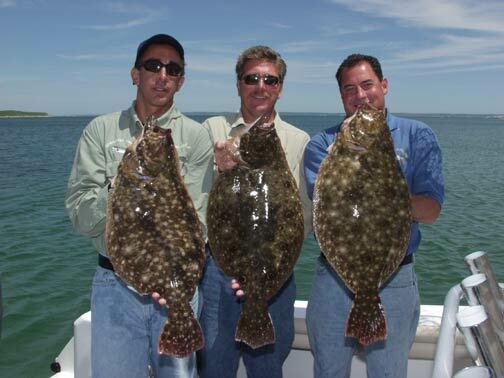 Are most of the fall caught Flounder/Fluke really Summer Flounder or Winter Flounder? Here is picture of a fluke and southern flounder that I caught last year in Galveston. The fluke is the one on the left and the southern flounder that we typically catch is on the right. Notice the positioning of the gills and eyes for each. Thats the easiest way to distinguish the two. I usually catch at least 1 fluke in Galveston every year, and most of them are small. If that girl is with you, I'd call that a fluke.